With only days to go until the HSBC World Rugby Women's Sevens Series kicks off in Dubai, a sixth round has been announced in Las Vegas next March. 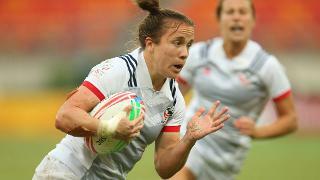 Las Vegas will host the third round of the HSBC World Rugby Women's Sevens Series on 3-4 March, 2017. For the third time in 2016-17, the men's and women's series will run side by side as the Sam Boyd Stadium in Nevada plays host to the world's best sevens players. The announcement brings the number of rounds on the women's series to six, with the season kicking off in Dubai on Thursday. The fifth women's series gets underway on Dubai on 1-2 December, before moving to Sydney on 3-4 February, 2017. After Las Vegas, the series goes to Kitakyushu, Japan, for the first time on 22-23 April. The penultimate round takes place in Langford, Canada, on 27-28 May before the series finishes up in Clermont-Ferrand, France, on 24-25 June. At the end of yet another record-breaking season in 2015-16, Australia made history by being crowned the country's first series champions in Clermont-Ferrand in May, before beating New Zealand to win Olympic gold in Rio, igniting a new passion for the game and creating millions of new fans across the world. The series itself saw record numbers of social media engagement with fans across the world, while this season will see the action broadcast to more than 100 countries across the globe.